Wondering what are the different public transport options in Dublin ? There are the most popular public transport modes in Dublin. As a new arrival in Dublin, it can take you a little while before you figure out the different ways to maintain your mobility in the city. If you decide to live in the city centre, walking is what you would be doing for most errands and chores. 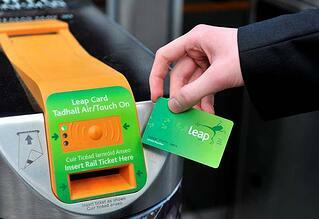 Leap card – Make sure you get a leap card as soon as you arrive in Dublin. Not only would it save you money on fares, it would also help any new expat in Dublin to have a one card for all public transportation modes. The card can be bought at any of the regular grocery stores, cafes etc for 5 Euros and can be topped up at any LUAS station, Dublin Bus HQ or in any supermarket, shop by paying cash at the till. Leap card for foreigners in Dublin is highly recommended. IMPORTANT: Dublin Bus Fun fact - Buses don't pullover at every bus stop by default - You have to wave at the Driver to let him know you want him to stop. Don't wave at the driver and the Dublin bus wont stop for you. Foreigners using Dublin bus have missed a few buses in their initial days. 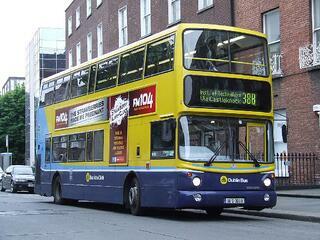 Dublin Bus has an extensive network that covers most of the city. Tickets are to be bought on the bus from the driver and exact change is required. Remember – YOU DO NOT GET CHANGE back if you offer higher denomination of coins. Also, paper currency is not accepted. We suggest using the Leap Card to avoid hassle. The fare depends on the distance you travel. You ask the driver your destination, he tells you the fare, you drop the required coins in the box next to the driver and take your ticket. Buses are generally on time but sometimes just go missing and the wait-timer on the bus top for a particular bus might go from 3 minutes to 20 minutes. Don’t be surprised. All buses are connected with a real time GPS system so the time you see on the bus top wait-timer screen is real time. Dublin bus punctuality is more of a hit than miss and the dedicated lanes make it a reliable and speedy way to move in Dublin city. What is DART? 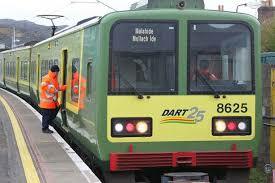 This is the name of the suburban train system in Dublin which has a single line and can only go North or South. The trains move along the Dublin bay and offer some great views and also take you to great beaches and spots like Killiney, Bray, Howth and Skerries. The frequency depending on the time of the day can vary between 10-15 minutes and a lot of people working in the city use it to travel from their suburban residences – called Commuter towns in Dublin. Refer to our other blog – Expats in Dublin commuter towns to understand the benefits/hassles of moving to commuter towns. 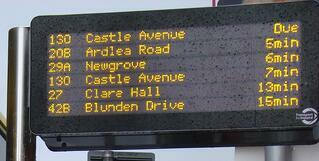 This is the name of the Dublin Tram service. The LUAS has 2 lines – Red & Green. The Green Line operates from Stephens Green (Dublin 2) to Brides Glen, which is at the doorstep of the Dublin Mountains in the South. LUAS only accepts the Leap Card and there are validation machines at every stop. The most expensive houses in Dublin tend to be along the green LUAS line in South Dublin. The works to connect Green & Red line in Dublin are currently ongoing and once done, will connect North & South Dublin via tram, which is much needed. The LUAS has great frequency, modern coaches, fast and very reliable. 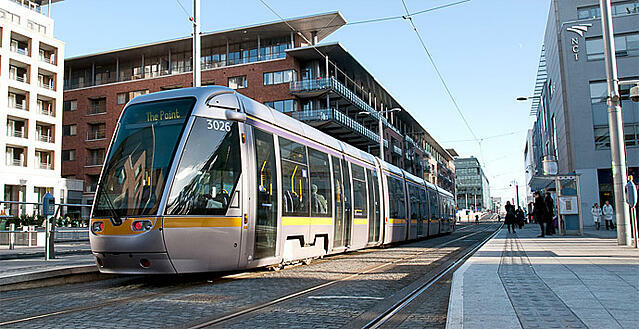 LUAS use by expats in Dublin is very common as it goes to major job hubs like Sandyford and IFSC. This is a service available only in the Dublin city centre. 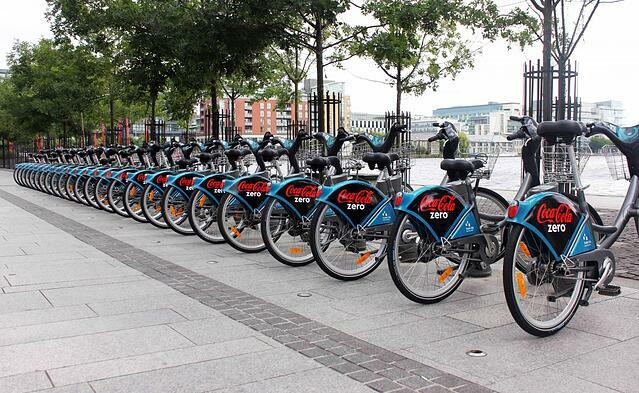 Bicycles can be rented from various Bike stands clearly marked as ‘Dublin Bikes’. There is an annual membership fee of 20 Euros and if a bike is returned within 30 minutes, there is no charge. Bikes can be taken from any Dublin bike station and returned to any other or the same station. Considering the size of the city centre, 30 minutes is a fair allowance for free usage and even crossing that would cost you 50 cents for the next hour. Dublin bikes have sturdy basic bikes that get the job done. The service has been immensely popular and number of foreigners using Dublin bikes has gone up with every passing year. Have suggestions or comments ? Leave us some feedback in the section below!